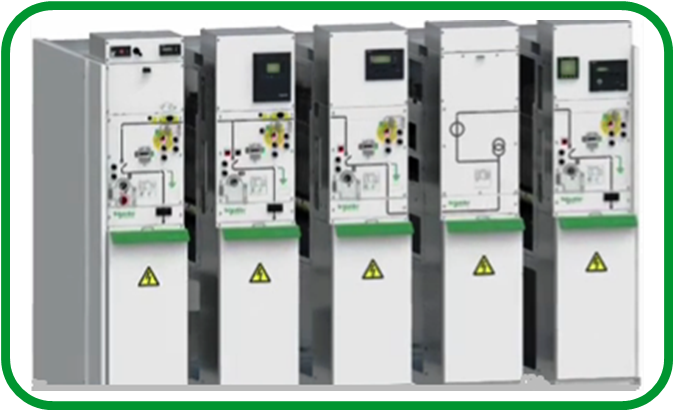 The electrical industry is without doubt one of the most conservative in terms of updating technology, including medium voltage (MV) and high voltage (HV) switchgear. Why is that? For one thing, technological innovations appear about every 20 years, but switchgear can last as long as 40 years, remaining a valid architecture for traditional, centralized power transmission and distribution (T&D) networks. Next, and perhaps most central to the conservative outlook, is that T&D operators require stability – which they may view as a “lack of change” – and can be hesitant to deploy new technologies. Finally, maintenance and repair of such long-life devices is easier for service crews if there is no change in technology. But to take advantage of today’s smart grid capabilities, the electrical industry must establish new criteria for switchgear. Smart grid-era switchgear needs to be more “digitally intelligent,” flexible, compact, and able to withstand harsh environments. Meeting these objectives means deploying digital technology that allows for two-way communication, between the utility and its customers, and between devices along the transmission and distribution network and the network operations center. However, much of today’s electrical infrastructure, including switchgear, enables only the simple one-way flow of communication valid for centralized energy production. 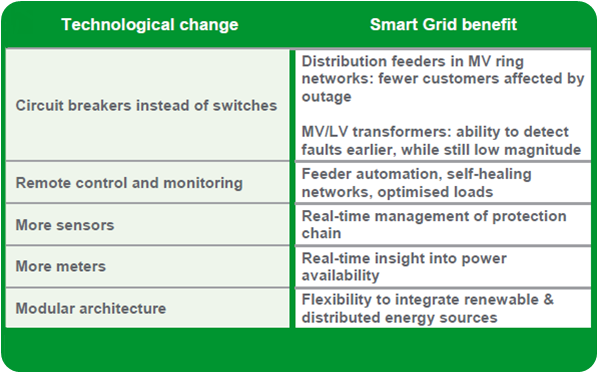 Smart grids include more circuit breakers in the network (replacing manual switches). Leveraging digital technology for greater remote control and monitoring becomes vital. Low-consumption sensors and digital meters enhance control and monitoring. As smart grids evolve, digital intelligence will allow utilities to view, measure, and control what’s going on along the network. Remote control, which depends on digital intelligence, can optimize maintenance and avoid costly manned field service visits. With more renewable and distributed energy sources integrating into smart grids, monitoring and measurement will become crucial to the ability to balance supply and demand. You can find a discussion of the evolution of medium voltage switchgear and more details about implementing smart grid technologies in my new white paper, “What Will Medium Voltage Switchgear Look Like in the Future?” Or leave a comment – I’m happy to clarify and answer any questions. Great blog! It really helped me understand the role switchgear plays in a smart grid. Thank you.